I distinctly remember it being a Monster Hunter-style cartoon TV show I watched in the UK, most definitely after 2000. 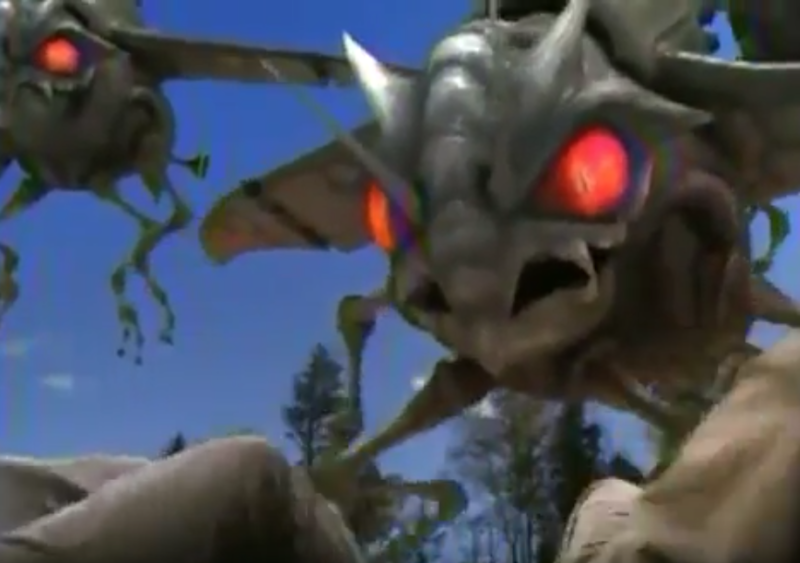 Usually in each episode, a mad scientist-type guy would make creatures gigantic (usually insects, like I remember a spider and maybe a wasp/bee? ), and then a group of teens(? )/young adults(?) would have to save the day. The only thing that really comes up when trying to search this is Godzilla cartoons but I think I would remember watching a Godzilla cartoon as the name is so familiar. I used to always think it was called Monster Hunters or something in that vein but that name doesn't lead me anywhere useful. Monster Warriors (2006) seems to fit pretty well... Apart from it being live-action, and not a cartoon (though the awful CGI is cartoonish). What's going on in Capital City? Major monster trouble is what is going on. An earthworm so enormous it's eating trains, a giant squid that's munching whole fishing boats, a giant ice monster who can freeze you with one breath. The series, a purposely campy cross between the Power Rangers and Ghostbusters, follows the adventures of four teenagers fighting to safeguard Capital City from the vengeful wrath of insane and disgruntled old B-Movie director Klaus Von Steinhauer who possesses the ability to bring his cinematic monsters to life ("I make ze monsters big!"). Over the course of the series, various story arcs occur that expand the series cast and city locations. Each week sees the teens customize common household objects into useful weapons to fight against monstrous creations. Remembered from TV series with a Team which I recalled was IDed as "Monster something".